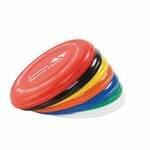 Promotional frisbees are a great way to promote your company in the form of a fun and useful giveaway. We have a selection of frisbees here and can also supply flyers and boomerangs if you want to add something different to your marketing campaign. Please take a moment to look a the products here and their individual specificaitons, options, prices and lead times. If you need more information or just want to discuss print and availability options please contact us. We can also suppyly free samples for frisbees we have branded for other clients or you send us your artwork we will generate a virtual visual for you. 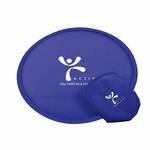 Frisbees are one of those promotional giveaways that are fun and popular with adults, teenagers and kids and have wide appeal. Sure they can be considered a toy but one that can also be used for entertainment, sports and recreational use. If you want a really smart and fun way to promote your business, then personalising a frisbee, flyer or boomerang is one of them. We actually keep a few frisbees from previous campaigns for when we take the dogs to the beach. It’s great fun to throw them as far as you can and let the dogs run for them. Being plastic they cannot harm the animals and provide hours of fun and healthy exercise for both us and the animals. We’ve even seen others using them like this in parks and play areas. We’ve a great range of frisbees and flyers to help boost your marketing. There are solid plastic models, ones made from recycled plastic and even foldable nylon versions with their own pouches. These can be ideal for use at tradeshows and exhibitions due to their size and weight and of course low unit cost and value for money. When it comes to any of our frisbees and flyers we offer a whole range of different sizes and colours, materials and thicknesses. All easy to brand with your logo and imprint. We apply this as direct print onto the product (screen print or digital imprint) or with a printed label. One of the great things about this type of promotional giveaway is that it has appeal and will be well received. We only supply the highest quality item and this means that your chosen product will be kept for a long time and will advertise your company and logo each time it is used. If you cannot find the exact frisbee or flyer you want please do let us know. We have supplied several thousand over the years and only include a small selection of what is available here. If you have a specific product request, let us know and we will see what we have in our supply chain. We can generally match and offer like-for-like items or a suitable and cost-effective alternative. As part of our services we also provide a custom bespoke design service. This can lead to longer lead times and higher unit costs but can end up with something unique just for your campaign. Pantone colour matching is also possible with some products. So whether you need a custom frisbee, flyer or even a boomerang please do contact us today to find out the best product for your campaign. These types of product can appeal all year round whether its summer, spring, autumn or winter. We stock an excellent range of products off-the-shelf and just need to schedule them into our printers once we have sign-off for your artwork. Remember that all delivery times quoted are from artwork proof acceptance. Once this is received, products can be available within 5-10 working days dependent upon the individual item and printer loading. Can you apply a printed label to a frisbee? This is an imprint option for some of the solid plastic frisbees we supply. The label can be coloured printed and is then applied to the centre space of the frisbee itself. This is a great way to display an imprint as you or your advertising agency can provide the imprint design you want for your campaign. Can you Pantone match a frisbee? Pantone colour matching may be possible. 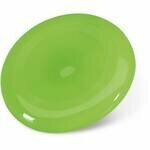 Please let us know the specific Pantone colour you need and we will check if the frisbee is available in this colour. If not we could look at a bespoke manufacturing run or offer a contrast alternative colour. Where can you print onto a foldable frisbee? 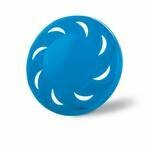 These are a unique type of frisbee as they are supplied in a pouch. 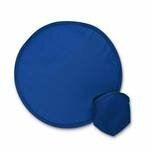 We can generally apply your imprint onto the pouch and the frisbee itself using a screen imprint method.